Russel Goreraza, son of the former First Lady, motor mouth Grace Mugabe, has been ordered to vacate his rented premises Number 4A Clarence Drive, Nikolas Point, Flat 3 Newlands. ,Harare over rental arrears of US$65 801. The Zimbabwe National Family Planning Council’s Pension Fund (ZNFPCP) owns the property, and served the summons to Goreraza through its lawyers on 8 June 2018. Goreraza did not file opposing papers to it. 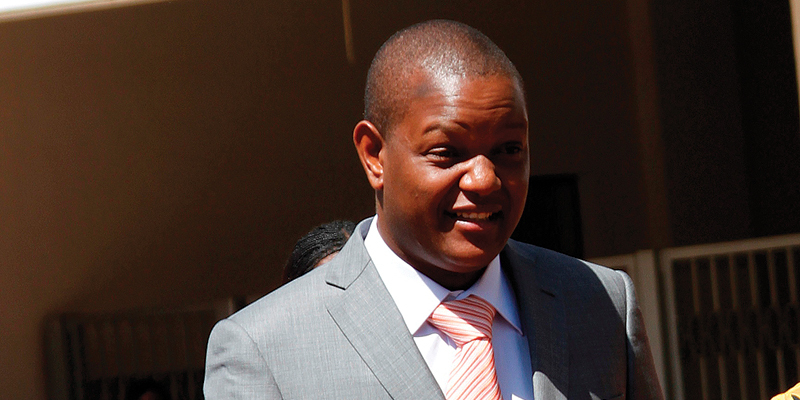 According to the Zimbabwe National Family Planning Council’s Pension Fund (ZNFPCP declaration, Goreraza who is Grace Mugabe’s son from a previous marriage, accumulated ren arrears from March 2015 to May 2018 totalling US$65 801, yet he remained in occupation of the property and could even stay until the court determination of the (ZNFPCP declaration, by court, effectively meaning further rent arrears. The court order was granted and Goreraza was also ordered to pay the costs of suit.More news to follow. By Sibusiso Ngwenya.